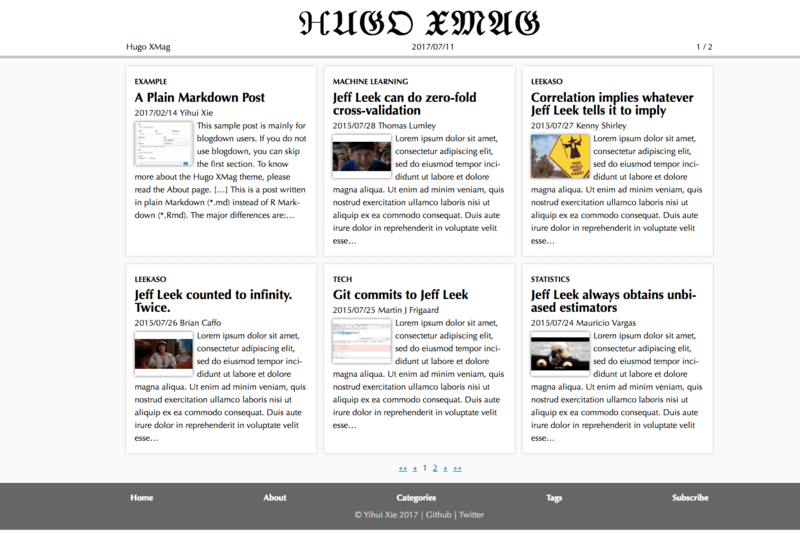 XMag is designed based on the Hugo theme XMin, and similarly, features minimalism but with a magazine style on the homepage inspired by The Signpost on Wikipedia. Most features can be configured through config.toml, and a few can be enabled by custom layouts. Please see the detailed documentation on the About page of the theme website. The source code is available on Github (MIT license).